Skipping between plots and characters like a playlist on shuffle. If it weren’t for Goodreads, I don’t think I would have realized I have a reading problem. This problem has nothing to do with the number of books I’ve read (too few) or the number of books I want to read (more than I know what to do with), but with the number of books that I’m attempting to read at the same time. It was with some alarm the other day that I glanced at the Goodreads’ handy Currently Reading tab and saw that it contained no fewer than six books that I had started between February and July. Six books? There’s no way that’s right, I thought to myself, but as I scanned the list, I was resigned to the fact that it was true. There were no books on that list that I simply forgot to mark as “Read” or else delete because I was no longer interested in finishing them. These were six books that I started and enjoyed and still have every intention of finishing…I just haven’t gotten around to it yet. Attempting to read multiple books at once is one of those uphill battles that never really works, although I have a long history of trying to do it anyway. On a basic level, I am confident in my ability to actively read two books at any given time. I’m a huge fan of audiobooks, so I love having one on-hand during my commute to work or on those increasingly rare occasions when I venture to the gym. And then I’ll have another book, either on my e-reader or in hard copy, to read when I have time during the day or late into the night. Two books, two distinct reading times. Easy. Except, it’s hard for me to limit myself to just those two books. I’ll impulsively buy something new at the bookstore and need to start it immediately. A novel I’ve placed on hold at the library will suddenly become available. That long-awaited sequel is finally released. As a result, my reading habits have become less of a straightforward baton-pass from story to story, and more like a playlist on shuffle in which I, a fickle curator, skip or queue up songs only to change my mind and go back again. If you think this scatterbrained system of reading might get confusing, you’re half right. The six books I am currently reading take place in five different countries (one of them set in the future), and their genres range from nonfiction to magical realism to mystery to sci-fi thriller. So on one hand, I’m not going to get character motives and major plot points confused: one character has to escape a parallel universe; another has to find his missing cat. On the other hand, smaller details such as the names and roles of minor characters start to elude me, and I find myself skimming pages that I’ve already read as I strain my memory back weeks or months, trying to piece the story back together. Even though I constantly dig myself into this situation, I still consider it far from ideal. When I start something new, I want to give it my complete and undivided attention. Given the right book at the right time, I’ll sit down and finish it in a day. But when I’m busy with school or work, this wealth of reading time dries up. And the less glued I am to the page of whatever I’m reading, the more likely I am to put the book on pause in favor of something that looks like I could potentially swallow it in one sitting. I know this technique must work to some degree because I have managed to read 28 books so far this year. Sometimes, however, life continues to get in the way, J.K. Rowling decides to drop a new Harry Potter sequel for the first time in eight years, and suddenly a month has passed without me finding out if that missing cat ever gets found. The unavoidable question is this: if months go by without me cracking open the binding of a book, am I even really reading it? In my mind, if I still have every intention of finishing all six of these books (and I do), then the answer is an emphatic yes. But the reality is that I’ll probably only finish about three or four. A few months from now it might occur to me that it’s not worth my time to finish the fifth book in what ought to have been a young adult trilogy. Resigned to this fact, I’ll delete it from my Goodreads shelf and never think about it again. Problem solved—unless, of course, I’ve started a half-dozen new books, but I’d rather not think about that right now. 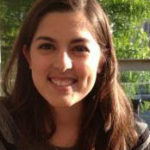 NICOLE FIORICA studies Communications at Fordham University and is an intern with the Crown Publishing Group. 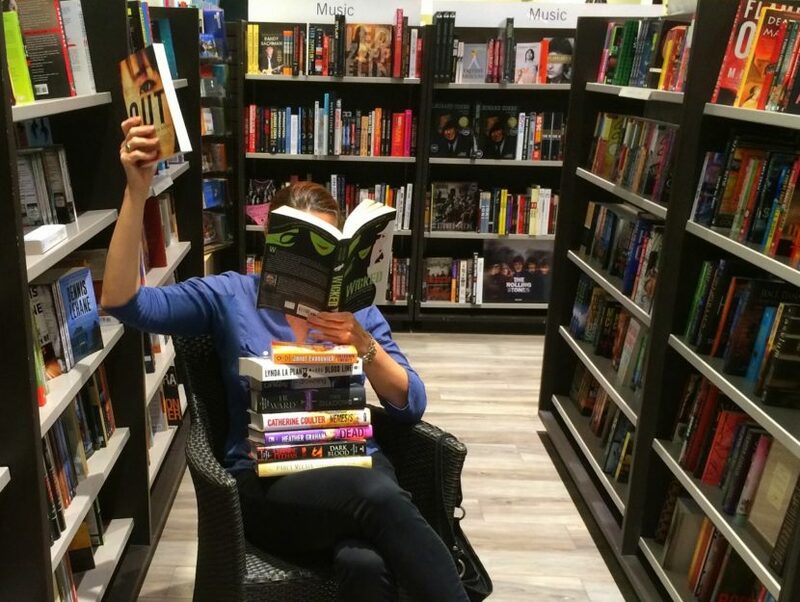 She has recently come to terms with the fact that she will never finish her To-Be-Read list, but will continue to buy new books anyway. She talks endlessly about all things reading and writing at scribblesincambria.wordpress.com and can be found on Twitter at @nicolefios.